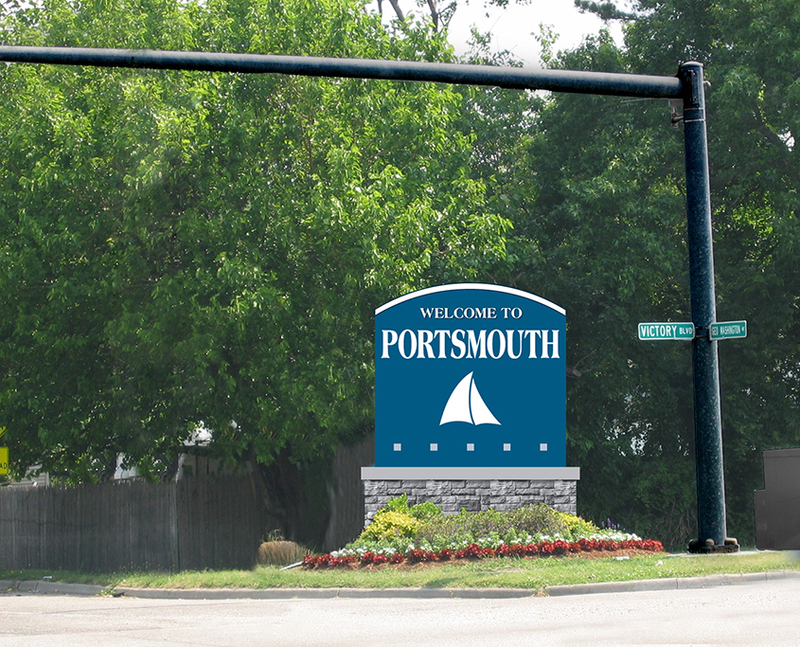 The City of Portsmouth Virginia had completed a branding and logo development process that reflected its maritime heritage when it hired Frazier Associates to design a comprehensive wayfinding sign system. 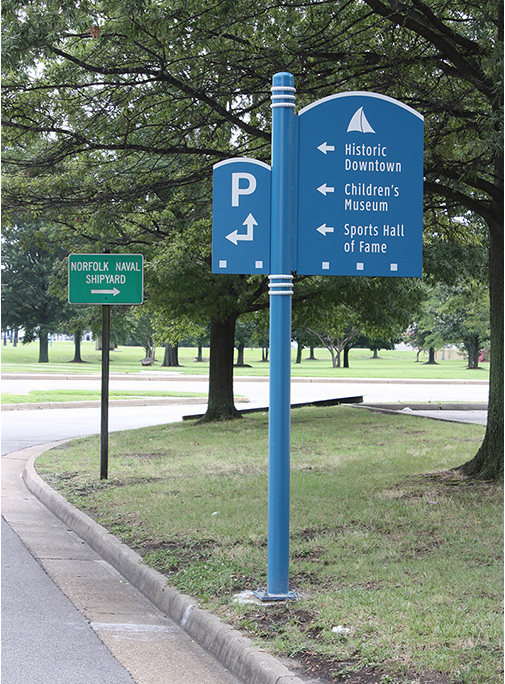 Frazier Associates had previously worked with the city on urban design projects including a corridor streetscape manual as well as design guidelines for their five residential historic districts. 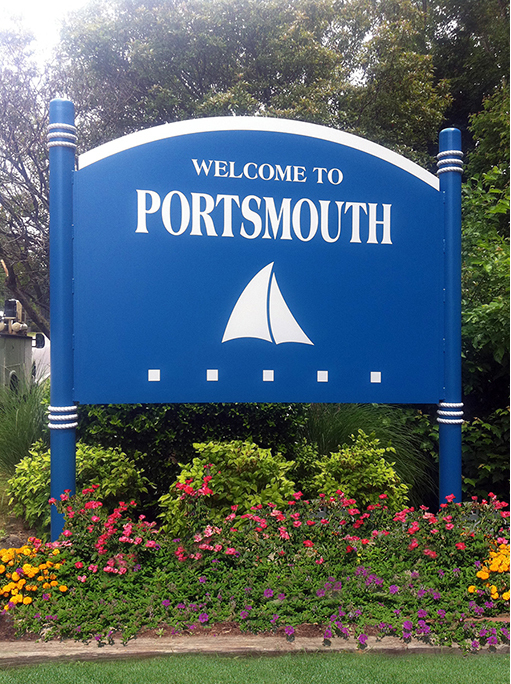 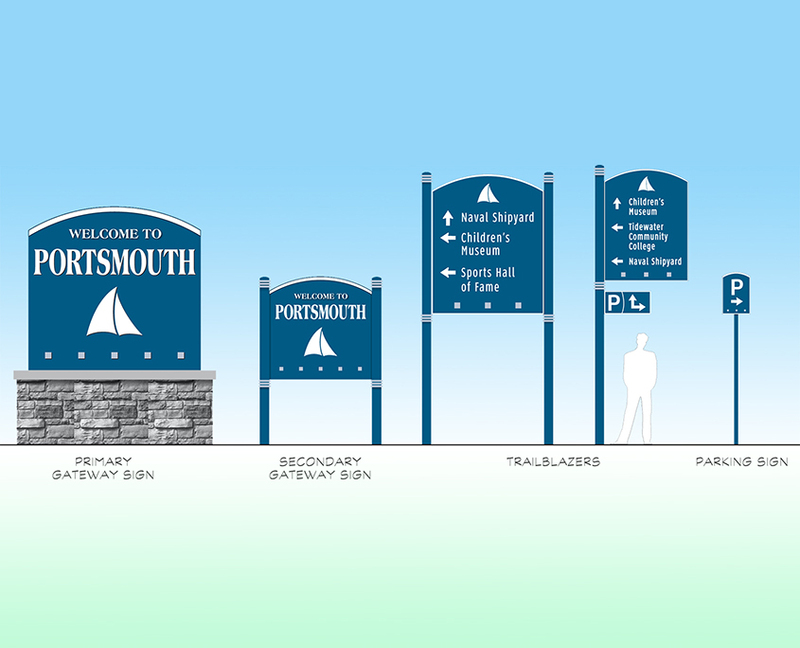 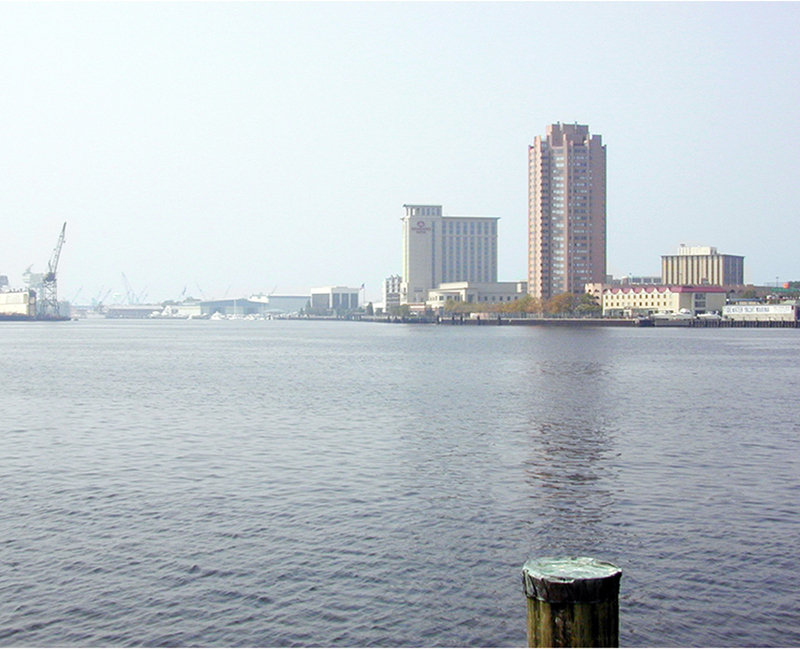 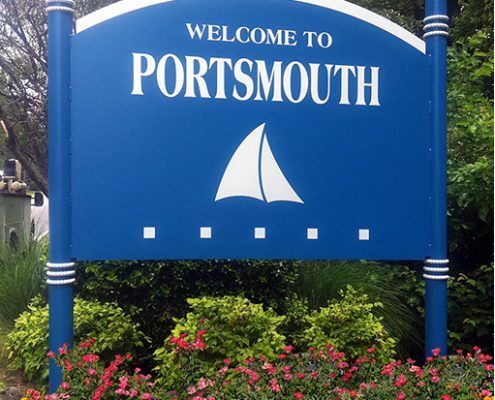 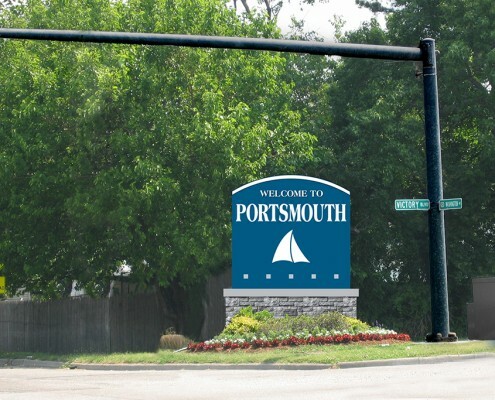 The city was interested in integrating the various naval facilities in their area with the larger Portsmouth community and visualized a wayfinding sign system as one component of that integration. 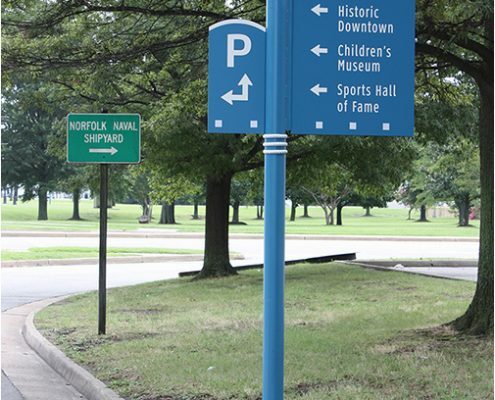 Additionally, Frazier Associates was tasked with combining the signs of a previous smaller scale system with this larger, community-wide comprehensive program. 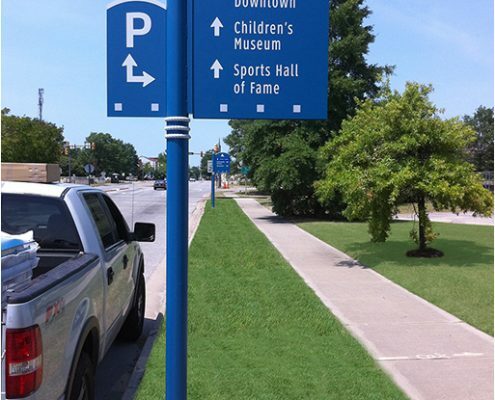 Recognizing the fact that a wayfinding system will often outlive a brand or logo, it was important to utilize elements of the logo that would appear timeless. 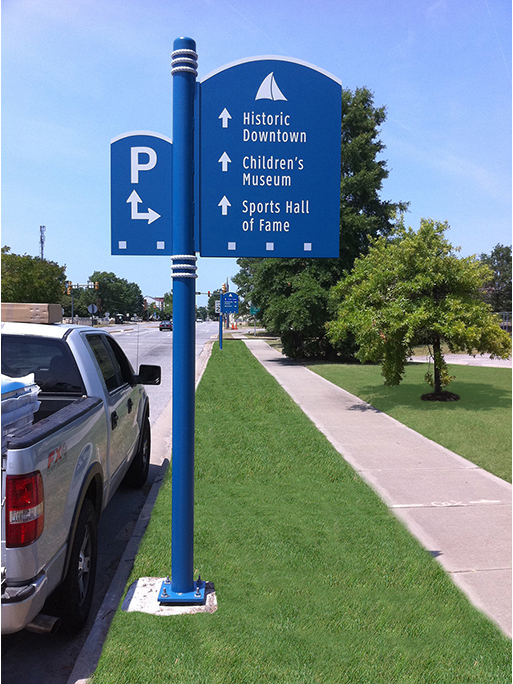 The resulting installed sign system accomplishes all of the goals of the project, will remain attractive, and continue to complement future brand updates.